Within the last decade, marketing has truly transformed. The arena in which it operates has changed and the tools it utilises have evolved. The future of marketing is digital, and digital is now! Let’s start by giving you some facts. 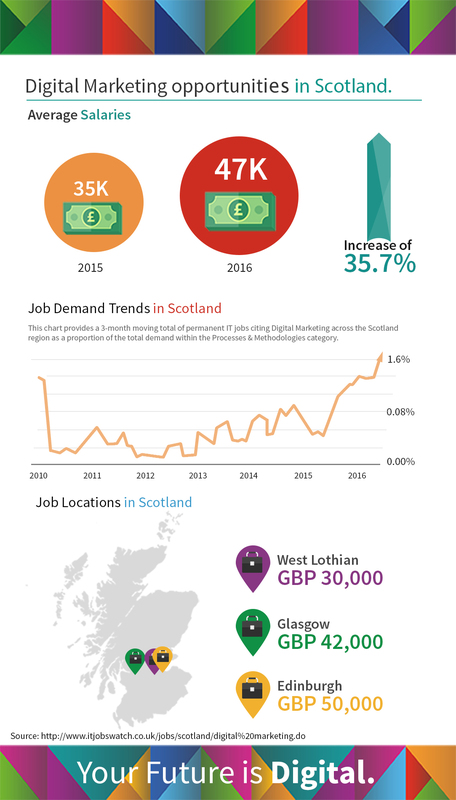 The demand for Digital Marketers in Scotland and the UK as a whole is rising. In 2015 in the UK over £16.2bn was spent on all forms of advertising, including TV, radio, printed media, billboards, online and mobile. However, 2015 will not be remembered for the colossal amount of money spent on advertising. It will be remembered for the year that the UK became the first country in the world where over half of all advertising was spent on digital media. Unsure of what digital marketing is? Trust us, you are not the only one. There are many companies out there that do not fully understand what digital marketing entails. Simply having a website or a Facebook page does not mean a company is practicing in digital marketing. It involves so much more. Digital skills are in high demand across the board. Brands require digital specialists now more than ever to help them to stand-out in an increasingly crowded marketplace. The growth of digital marketing as a profession is reflective of this change. But therein lies a problem. The demand for skilled digital marketing practitioners is rapidly outpacing the supply of qualified individuals. As a result, there is a digital marketing skills gap that needs to be filled and only well-trained digital marketers can fill it. 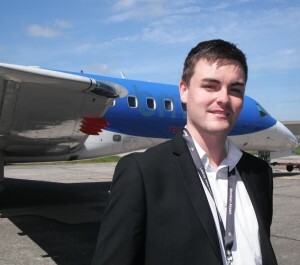 So if you are interested in a career in marketing…Your Future is Digital.